A high-level, warm, adult (mature) Tango Marathon for experienced tango dancers. Featuring top deejays, special workshops, inspirational presentations, themed milongas, afternoon alternative practicas, sunset catamaran cruises, Sunday afternoon barbecue by the beach and live music. This venue, Aloha Dancesport Centre features a quality, well-cushioned dance floor and a great sound system that makes this a comfortable and enjoyable event all weekend long. To print the following schedule of events, click here for a PDF version. Click the image to view full size. In addition, we’ll have live musical performances by harmonica virtuoso Joe Powers, Argentine keyboardist Miguel Rosenman, Pierre Grill, and Steven Howells. We have more good stuff on the horizon so stay tuned. A new addition this year is the Alternative Afternoon Practicas 5:00-7:00pm Saturday and Sunday with DJ Dean Baumann of Denver and live world music with Steven “Space Kadet” Howells and his violinist, Lisa. Link to Brown Paper Tickets registration and payment site. Early Bird tickets are available now! Payment is through PayPal but a PayPal account is NOT needed. You will be able to check out as a guest. We will again offer Thursday and Friday Night Sunset Cruises. Both cruises sold out last marathon. The catamaran can take up to 40 persons. The price of the cruise is $35 includes the cruise and beverages. Payment is at the catamaran to the captain. Click the image to the right to view full size. 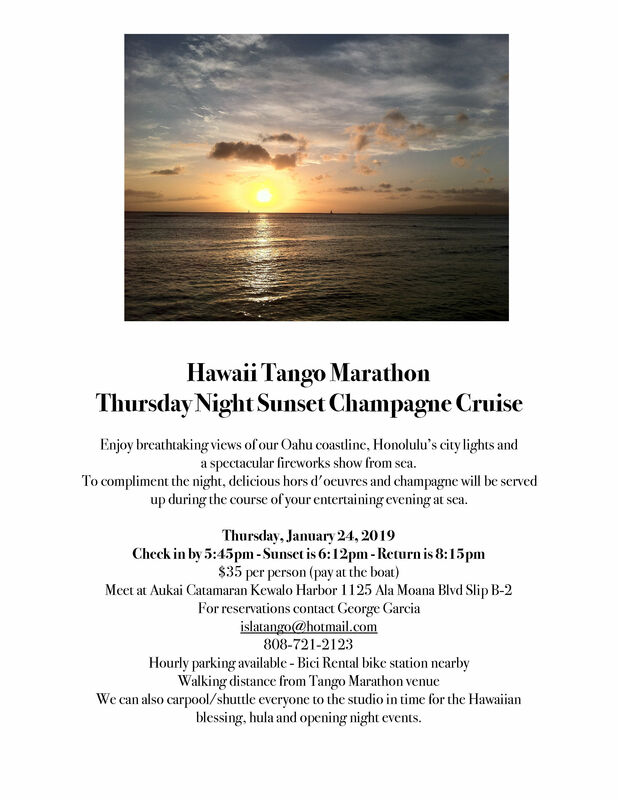 IslaTango@hotmail.com to reserve your slot on the boat. 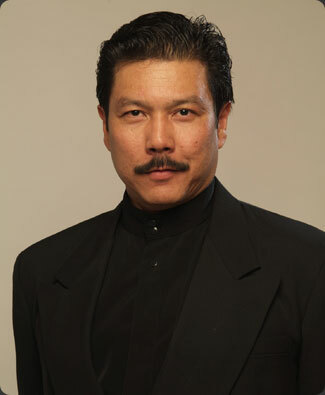 I can also be reached by cellphone at 808-721-2123. Click the images below to view full size. We are planning a Sunday afternoon outdoor tango potluck barbecue party at Kewalo Basin Park Pavilion located in the same area as the catamaran cruise. AirBnB Oahu has incredibly good rates with units in Waikiki and Diamond Head. 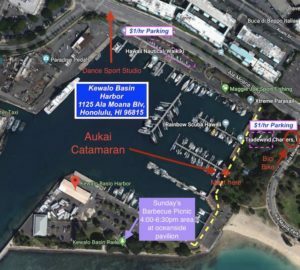 The Makiki and Honolulu areas might be even more convenient. 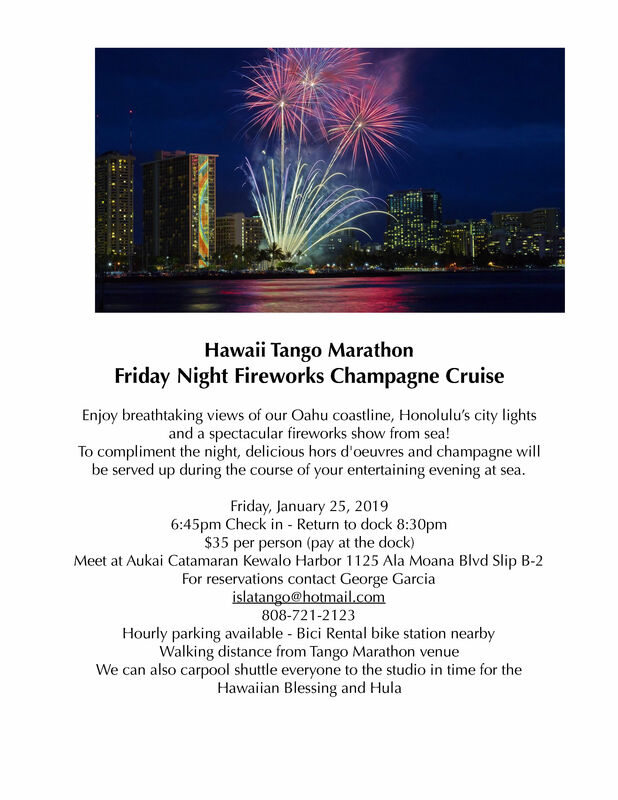 The nearest hotels are the Pagoda Hotel, a bit dated but near the shopping center, also the Ala Moana Hotel next to Ala Moana Shopping Center – Prices average $180/night. Trivago is a good source for deals. 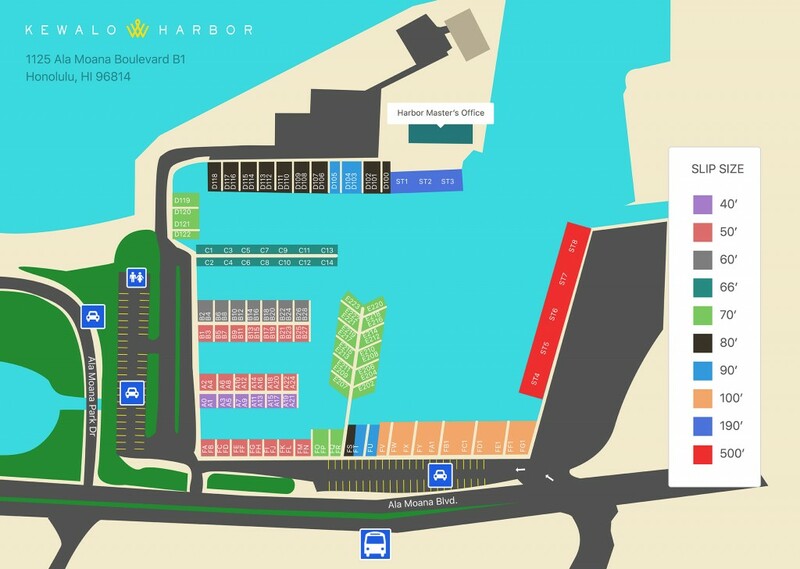 We now have BIKI rentals all over the city with complete bike racks and dozens of rentals at each station at every major intersection or shopping and dining areas. Nearby are car share stations as well. 8:00pm: Milonga – “GLITTER & BLING” Dress to Impress! 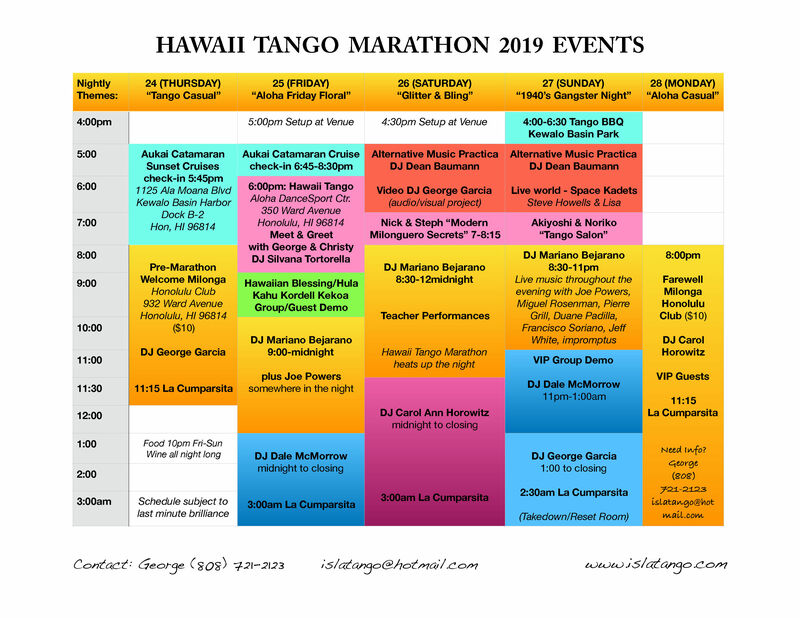 The Hawaii Tango Marathon tickets payment is through PayPal – but a PayPal account is NOT needed. You will be able to check out as a guest.